All 32 finalists and David Reale, VA of Tsubasa and Kai! 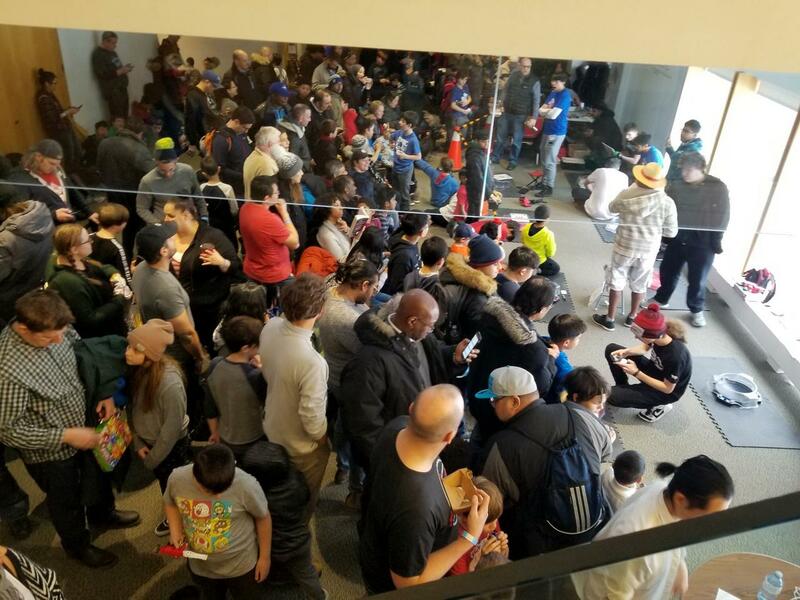 With 166 participants, this tournament was the second largest in the WBO’s ten year history, just behind the Beytuber Brawl in New York last year, which had 172 participants. 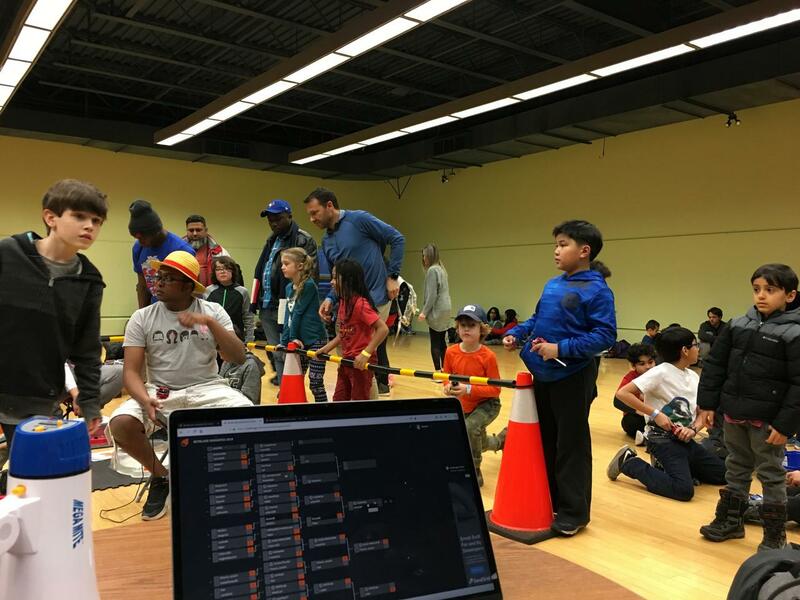 And it was therefore also the largest event in the Toronto community’s history, smashing the previous record of 77 set at BEYBLADE NORTH 2018! This was our fourth straight year hosting an event at Anime Shogatsu and last year we only had 31 participants. So needless to say, 166 was a big step up for us! 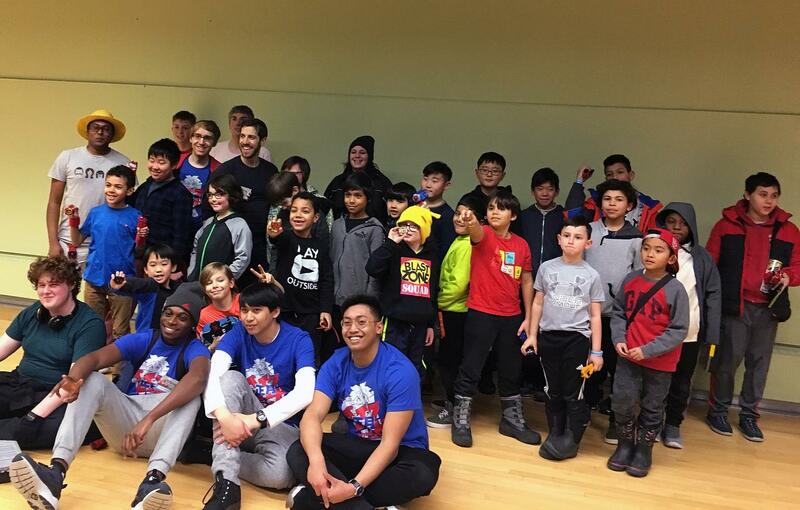 The Toronto community–as well as Beyblade Burst in general–has been doing well lately, but even I was surprised by this massive upswing in attendance. Our regular events have been pulling in 30-50 players recently, so given that this event was first posted at the end of November which allowed for it to build up for several months, I guess I shouldn’t have been surprised. Nevertheless, as the attendance number rose, the level of seriousness also rose. Even before the event was posted I had taken the time to rebrand the event and create a new logo for the first time in three years, but I felt a stronger sense of responsibility as time went on that went beyond a merely the cosmetic makeover. Seeing those attendance numbers rising–especially as we reaching the 80+ mark it became more imperative that I consider every aspect of how the event would be run. Before I get to that however, I’d like to talk about the metagame at the tournament itself as for most people I know that will be the most interesting for most of you reading. See below. 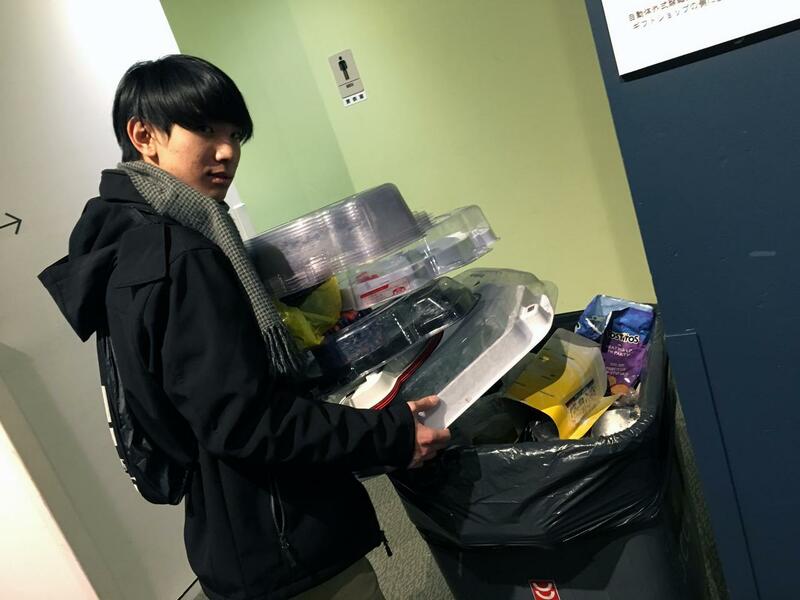 (Jan. 21, 2019 12:19 AM)Kei Wrote: I was incredibly busy helping with the organization of the event and didn't get much chance to see matches that were being played. However, I can say that during the first stage I noticed several Cho-Z Achilles, several Balkesh B3, some Garuda G3 and Revive Phoenix, and of course Archer Hercules and Hell Salamander. Although, I didn't see as much Hell Salamander going around, which lead me to rely on it for most of my first stage matches. I also don't remember seeing any Cho-Z Valkyrie, but that's just based on a small sample size. I did get Cho-Z Achilles and Air Knight this week, but literally only had time to test them for about two hours at around 1:00-3:00AM on Saturday ... six hours before I need to be at the venue for Shogatsu haha. No one else had Air Knight at this event from what I saw. I did use Balkesh B3 0 Wall Bearing to win one of my matches and in retrospect, I would have very likely won all of them if I had stuck with it. The weakness to left-spin did make me hesitant against completely random opponents who maybe could have Hell Salamander on something like Revolve, Atomic, Xtend Plus, Bearing etc ... but the reality is that few players actually use those combos when you look at the overall number of participants. Either way, I still feel it possesses too much stamina and burst resistance. The finals of this event were quite interesting. For the first time ever, we brought 32 players into the finals as some recent rule updates for events with 160+ allow. 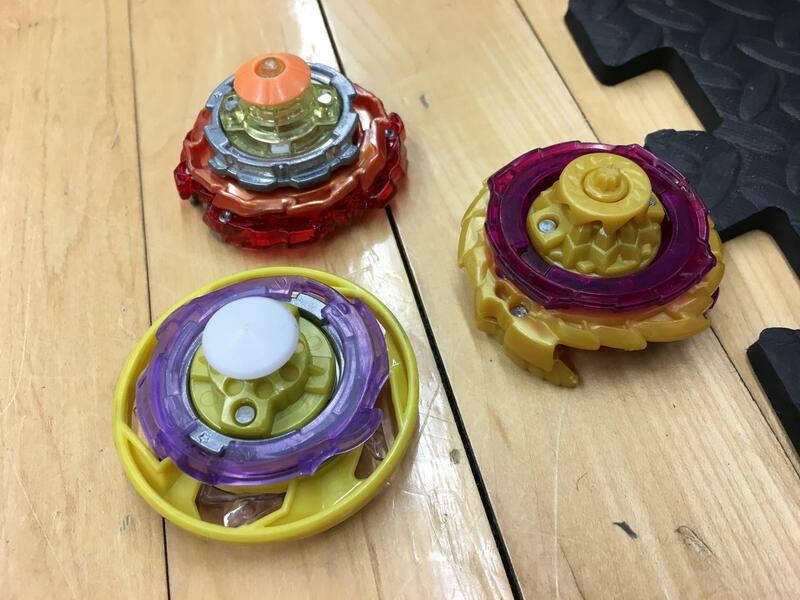 Deck Format really is the best way to play Beyblade, so it was exciting to be able to have the opportunity to let more players try it out. There was again too many matches for me to catch, but there was a healthy variety of combos types throughout. I came up against two G3's in my final matches–including one G3.0G.Br–but thankfully I didn't ever have the need to try and use Attack against them. Although, I was the only person using Xtreme Dash specifically ... TT really needs to re-release that. Although, perhaps due in part to the Burst Stopper feature on Cho-Z Valkyrie, Justin TC was able to find some success with it using regular Xtreme. My battle with Justin TC was actually almost exclusively Cho-Z Valkyrie versus Cho-Z Valkyrie. It was super close! 5-4. 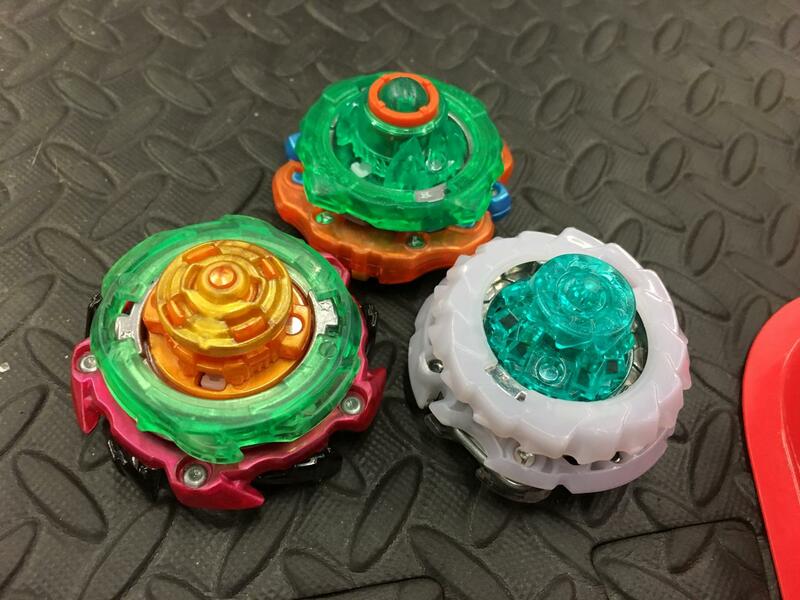 My battle with OldSchool™ played out very similarly to the one at BEYBLADE SPOOKTACULAR. I went down 0-1 in the first round in a stamina matchup and then lost two straight to his aH.0.Xt+ using 超V.00α.X'. However, now that I had warmed up a bit I was able to follow that with two straight KOs, bringing the score to 4-3. I lost the following round and then won the last round using LC aH.Ω.R versus his aH.0.Xt+! We haven't had such a long break between Toronto tournaments in a long time, so I don't think I've ever spent as much time testing in preparation for an event as I did for this one. And after a first round finals exit at Beytuber Brawl, I'm happy to have had the opportunity to win such a large event like this and that my efforts paid off in the end! (Jan. 21, 2019 12:23 PM)bblader/90 Wrote: Hi Kei! Did those g3s and your b3 struggle for the huge weight difference in battles against the cho-zs they faced? And, did you spot any Spryzen Requiem S3 there? Several G3 and B3 users made it to the finals or close to the finals from what I could see. I don’t remember a lot of the exact match ups, but in my matches they did lose to Hell Salamander or Archer Hercules. However, because the rest of their deck was also Hasbro there didn’t come a need for me to try and use Attack against them. I think a deck with G3 or B3 in a more defensive role + opposite spin upside using Bearing alongside TT Beys could be more threatening. bladekid used Spryzen Requiem on Orbit in his match against me, but I don’t remember really seeing it otherwise. Although again, there was hundreds of matches I didn’t see. 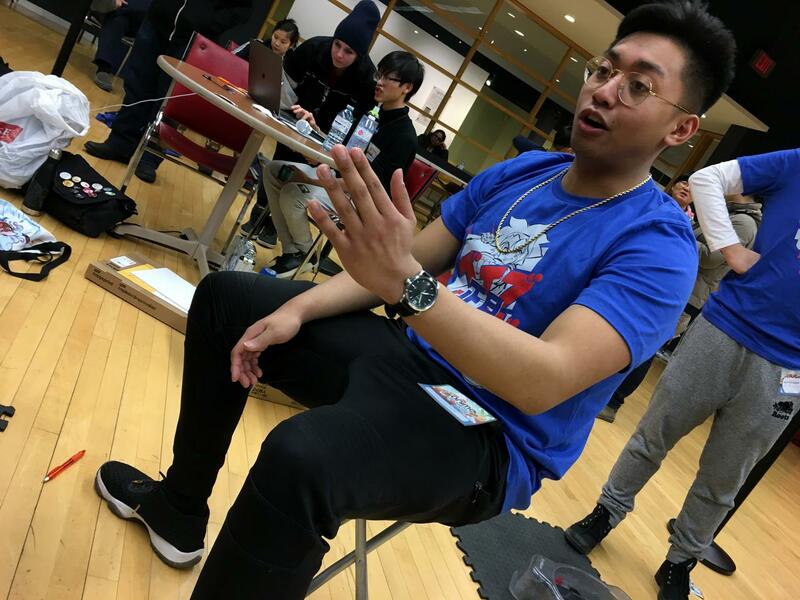 (Jan. 22, 2019 11:18 PM)gxpt2000 Wrote: what were some of the more common G3 combos at this event? I didn't really see the exact combos most people used. In two of the few battles I actually judged (as I was focusing on crowd control/helping run the bracket) of MonsterThiago, he won both with a stock (if I remember correctly; I know it had Flugel) G3. 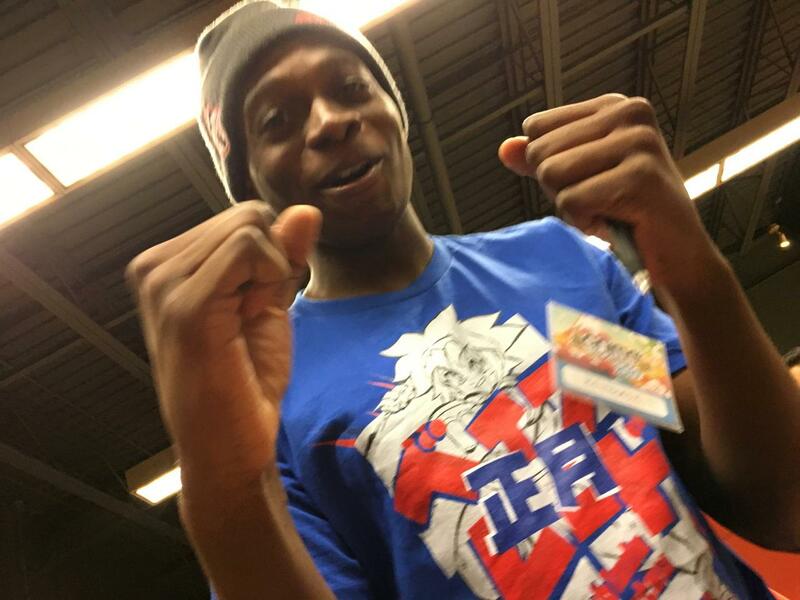 I didn't see his other battles, but he made it to the finals most likely relying on that same stock G3. And then in the finals I ran into–as mentioned previously–G3.0G.Br. My experience at Beytuber Brawl–the largest event in WBO history with 172 participants–last year was great, but the tournament itself was extremely stressful for a variety of reasons. It was our first time hosting an event with over 100 participants (and well over that to boot). 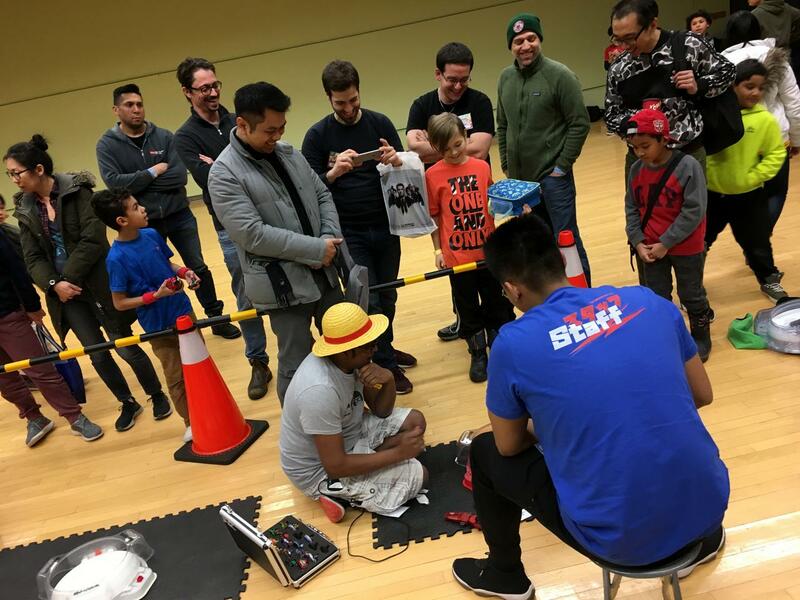 This experience combined with the rising attendance I observed in the lead up to BEYBLADE SHOGATSU 2019 lead me to feel strongly about doing whatever I could to help make this event a success. Especially in the last week or two it was almost the only thing I could think about! To that end, I implemented a lot of new ideas as well as some of the successful ideas that we had used for Beytuber Brawl for the first time last year. I talked about a lot of these in my post following the event here, but would like to revisit each one in more detail describing the intention behind it, how well it worked, or how well it didn’t end up working. One feature of Challonge we had not used up until this point was their Sign Up page feature. This feature allows players to sign up for the event on Challonge directly before the tournament and then receive notifications when matches are ready in the bracket itself via e-mail. Or at least just have the bracket open on their phone to follow along. A challenge we’ve always run into at our events is being able to communicate to players the progress we have currently made through the tournament at any given moment. The worst thing that can happen is having parents or kids constantly asking you when their next match is. You can try to tell them to wait, but it just doesn’t work for the whole crowd. Trust me, we’ve tried. In addition to that, finding players in large crowds has also always been an issue when it is their turn to play. Even when we have a speaker/microphone setup. The time it takes to find particular players contributes to the length of the event significantly. Rather than to get frustrated with these things, I wanted to try using this feature and promoting viewing the bracket more as a potential solution. So, the hope in implementing this feature was that it would reduce questions to organizers and provide constantly available information for players while they are waiting. And that it would help to make sure players were ready to play once they see an e-mail in their inbox. Now, it is hard to gauge how well this worked or didn’t work as we didn’t interview every player to ask about if the notifications were helpful after the event or if looking at the bracket was helpful. What I do know however is that we had roughly 50 players sign up on Challonge before the event, which is impressive. I also know that some parents definitely were looking at it. That being said, sometimes when questions were asked to us it was in tandem with the bracket itself on their phone (usually by a parent in this case). So maybe promoting viewing of the bracket resulted in more questions in the end anyways. Or maybe there was less overall. It’s hard to tell, but I think it would be hard to assume people were less informed; they literally had more information available to them than usual. One issue which did come up and could have easily been avoided was that as a result of the pre-registered Challonge users intermingling with the users we signed up on the day of the event, some people were accidentally duplicated and we didn’t catch it until the event had already started. This happened because everyone still has to check-in and register at the venue itself. We did avoid duplicating the vast majority of the Challonge users, but there was some miscommunication as we were compiling the final list for Challonge and a few were added twice by accident. While I am confident such an issue could be avoided in the future, in retrospect perhaps the additional variable it adds makes it too risky. There is also some restrictions on Challonge usernames which we don’t have on the WBO (like using spaces), so it means that even if you ask people to use their WBO username, they might not be able to use the exact same one. And of course, Challonge has its own set of users from around the world so some usernames aren’t available. For future events I will likely only promote viewing the bracket page itself and not offer the pre-tournament sign up page on Challonge. This is something I posted about in the Organizer’s Circle recently. The idea originally came from some events in Japan I played in where you were given a “Battle Card” and received stamps for each of your wins. At the end of the time limit whoever had the most stamps moved on to the finals. For us, the idea was to use these cards in an effort to allow players to more easily remember how many matches they have won and lost. We often have players asking if they are still in the tournament, so this idea was implemented to try and help alleviate this so we can continue with the tournament as quickly as possible. Since I wasn’t sure if it would work or not, we used pens this time so I wouldn’t have to invest in a custom stamp like I had originally envisioned. Judges drew a circle if a player won their match and an X if they lost. These cards have no bearing on the tournament itself and are more for each player’s own reference, so even if some players lost theirs (which surprisingly didn’t seem to happen much given how many kids there were), it didn’t matter. I would say this idea was a success. As long as you communicate what they mean, it will help to avoid people asking about their record or if they have been eliminated yet (for DE at least). Everyone received this sheet as they registered on the day of the event. I also posted it in the tournament thread itself. This is an idea we had first tried for Beytuber Brawl. There are many rules associated with WBO tournaments in order to keep them fair, competitive, and consistent from region-to-region. Communicating all of the minute details of these before an event would take a long time and isn’t totally necessary. While the announcements made before the tournament are more comprehensive than this sheet, the sheet we distributed at this event contained some of the most core important things for people to remember such as the division of the tournament space, listening carefully, not losing your battle card, picking your Beys quickly, tournament length (unfortunately the estimate here was a bit short as this had to be printed in advance and we had approximately 70 more participants than expected), and so forth. Again, this was in an effort to keep everyone informed and understand how they can help to keep the tournament running smoothly. Tournament flow is as much about organizers being organized as it is about players cooperating with the rules outlined and working together with organizers to create an enjoyable event. I didn’t see any of these discarded around the venue, so I can only assume that at least some people did glance at them throughout the day! Another idea we first tried at Beytuber Brawl. Normally we just number the stadiums but don't have any visual indicator for judges to hold showing which stadium they are when matches are called for it. We implemented this idea to help make it easier for players to understand where to go when called. This results in less chaos within the tournament area itself. 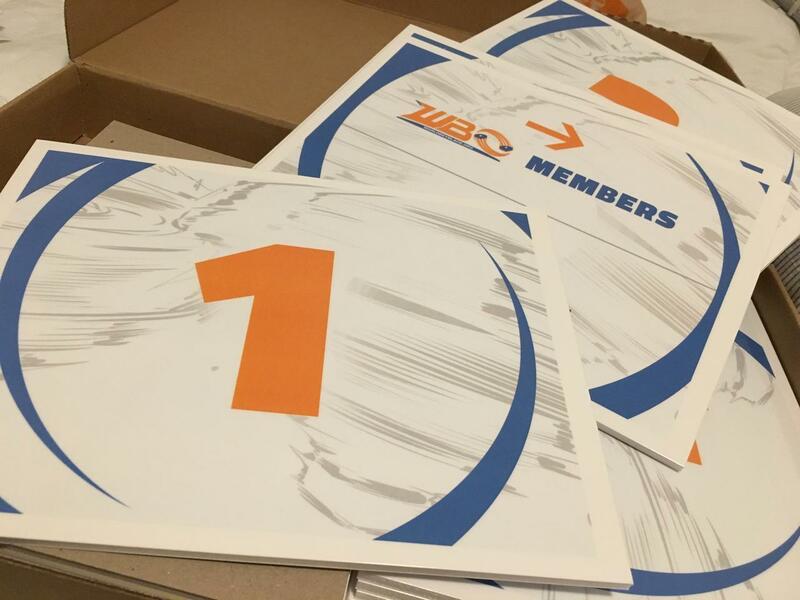 The other sign you see in the above photo is a sign for pointing WBO members in one directiion and non-members in another direction. We had initially planned to run two registration lines but with the layout of the venue it would have been difficult to do so. Instead, I just had the other people helping me with registration send over non-members to me so I could create their account on the spot. This was a really promising feature from our eyes prior to the event which would allow us to have matches automatically assigned to “Stations” (Stadiums in our world) by Challonge instead of us having to manually look through the bracket, which adds unnecessary length to the tournament where every minute counts. However, there was ultimately some critical issues with the way Challonge has set this up. 1. Automatic Match Assignment: The way in which it automatically assigns matches to Stations doesn’t take into account whether every player has played a match yet or not. This caused some players to go hours before playing their first match. This wasn't something we had foreseen, and we certainly understand the frustration of those players who did have to wait. Automatic assignment is optional, but at the time we didn’t know if turning it off mid-tournament would somehow break the bracket, so we stuck with it for a long time. When automatic assignment is turned on you also can’t override that and manually switch assignments to another match of your choosing. 2. Stations Tab: There is also a separate tab (seen above) where all of the assigned matches can be seen, but it is sort of useless because you can’t actually report the results from that screen … if you could you effectively wouldn’t have any reason to look at and scroll through the giant bracket itself. 3. Additional Matches Glitch: As we progressed towards the end of the tournament there was a few instances of the Stations feature automatically assigning matches between two people as if there was an extra round beyond what was shown on the bracket itself. For example, I played a match at the end of the Winner’s Bracket versus abuninja1, but it wasn’t actually on the bracket itself and both of us had already advanced to the finals. It just showed on the Stations tab. Obviously, there is some kind of glitch there. Ultimately, the Stations feature itself is useful, but with how it is currently implemented I would have to strongly recommend against using automatic assignment. 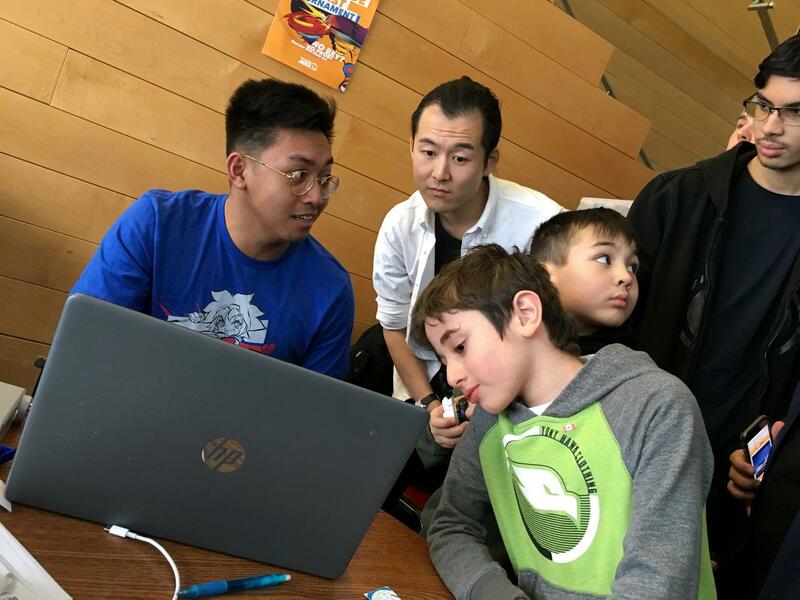 Turning Stations on and manually assigning matches–as we did near the end of BEYBLADE SHOGATSU 2019–works much better. If you have judges assigned to particular stadiums and you’re manually making assignments, it becomes easy for you to see what is currently happening and to check in on things. If you see you can’t select S1 for a match, it means one has already been assigned and should be happening. If it stays like that for a while, it reminds you to check in on the status of that match. Having Stations and assigning a particular judge to them also helps to avoid any potential confusion later on if a complaint is received and you don’t know who judged a particular match. This happened at Beytuber Brawl and we had to manually have judges write down the result and stadium number it happened at in a notebook (and even then they didn’t write their name). The idea was that this would avoid judges having to run back and forth between their assigned stadiums and the tournament desk which would create less movement in the tournament match area. At previous large events like Beytuber Brawl there was a lot of this and it caused a potential for confusion. This didn't quite work out mainly because Challonge’s automatic assignment doesn’t work the way it should and some judges didn’t have data on their phones, but I do think the idea still has merit for the future. With the new rules we recently announced we increased the number of permitted finalists for large events. This was in an effort to make extremely large events like this one fairer to players. More people should have a chance at making the finals in a large event. Normally we only do 8. Given the number of judges we had, this 32 player final actually went by quite quickly. And it gave many more players a chance to win and participate in Deck Format for the first time, so it was a success in my eyes! And it’s crazy, you actually have to win five straight matches to win a tournament with this number of finalists! It’s weird saying this since I ended up winning, but I think that generally speaking, anyone who is able to do that is definitely worthy of a first place title. 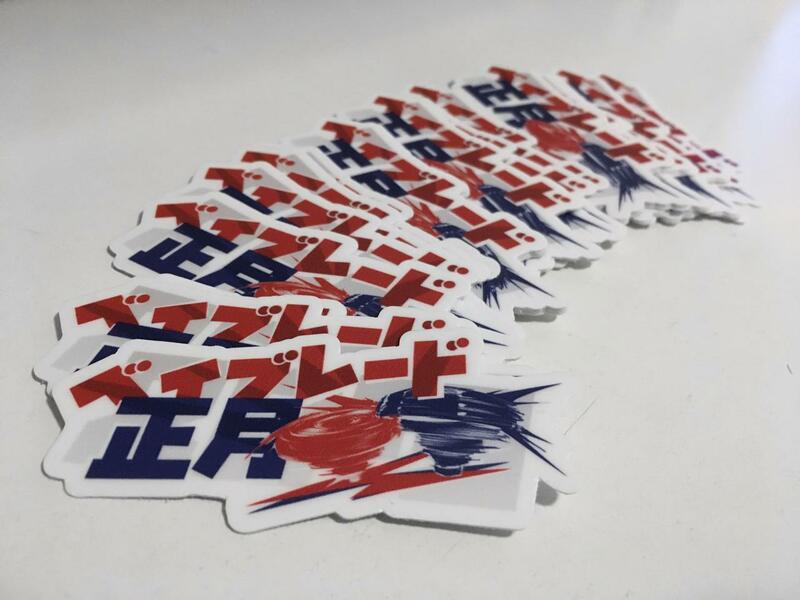 For the first 50 participants that signed up on both WBO and Challonge we gave away a free gift (exclusive Japanese BEYBLADE SHOGATSU logo sticker). I knew that convincing everyone to sign up on Challonge would be impossible, so I thought adding an incentive would help to encourage it. This idea came from my experience in Japan as well as a suggestion from 1234beyblade that spurred me to do it after thinking about it for a while. In Japan essentially all serious players use attaché cases to store their tournament Beyblades. On these cases you can often see a collection of stickers from different teams and events. At offiical events they sometimes give you a small Beyblade Burst sticker sheet. At WARI-BEY events, you earn a metallic gold/silver/bronze logo sticker if you win the event. I’ve always thought this was cool. While I didn’t get a chance to try making metallic WBO stickers for this purpose, I thought that creating a unique sticker for the event itself would be a nice keepsake. Some kids ended up putting them on their shirts which made me roll my eyes lol, but I’m sure others also put them on their cases which is what the intention was primarily. And many kids always ask about what the prizes are–this event was no exception–so having the opportunity to give something to a lot more of them than we normally would was a positive in my eyes. We know that in many cases, the people who win an event don’t really need prizes, so it’s worth considering re-allocating some or all of your budget to creative ideas like this to reward everyone for attending. 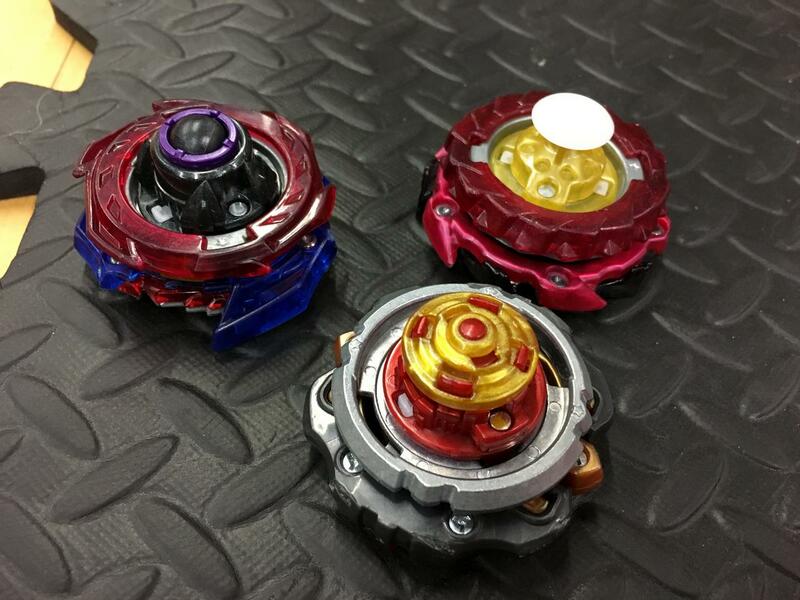 We prefer that prizes be physical Beyblade products, but we’re open to things like this too if you run the idea by us first. 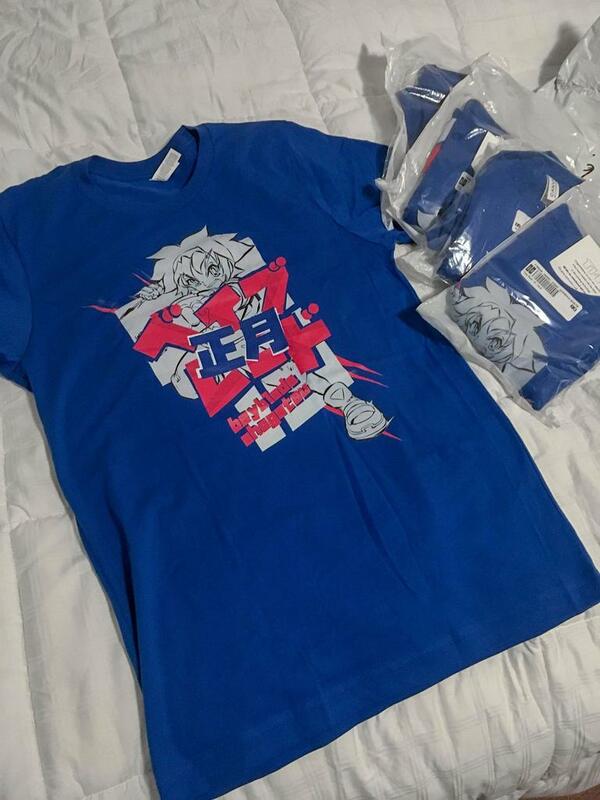 We’ve done this before at BEYBLADE NORTH, but given the rebrand I conducted for this year and the increased size of the event, it seemed like the perfect opportunity to make some staff shirts for BEYBLADE SHOGATSU. 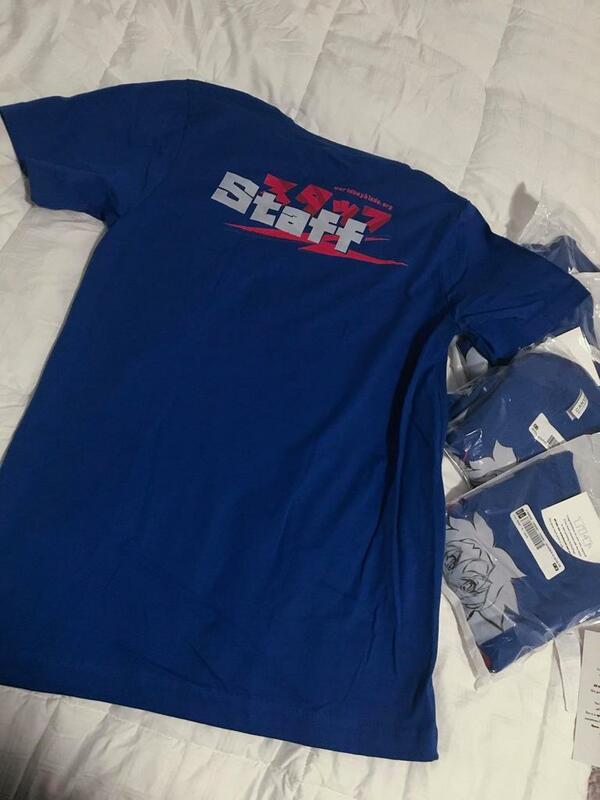 Unfortunately, we don’t really have the budget to be buying custom shirts for everyone so these had to be purchased at the expense of each staff member that could afford them. However, when possible to do it, I think they really help to lend a greater sense of legitimacy to whatever event they are used for. It also makes staff members more visible and the event feel more organized. I wish we had everyone wear one, but I’m happy with how they turned out. They’re quite cool! Once the space we were given was confirmed and I found the floor plan for it from the venue, I decided to make an event floor plan for the first time. I’ve never done this before, and I’m not sure why. While the floor plan we used ended up being slightly different in a few areas, it was still a good starting point. OldSchool visited the venue on the Friday night before the event and was able to begin the set up because of it. It’s always been stressful to show up at a venue and only then figure out your floor plan; having this guideline set in advance put my mind at ease. For future events I also think it would be beneficial to post it publicly so people can envision how the event will run beforehand. We began with three people running registration. JesseObre and I registering participants on our laptops (I handled users who needed accounts) using a shared document based on our Pre-Tournament Announcements Guide & Notes template. 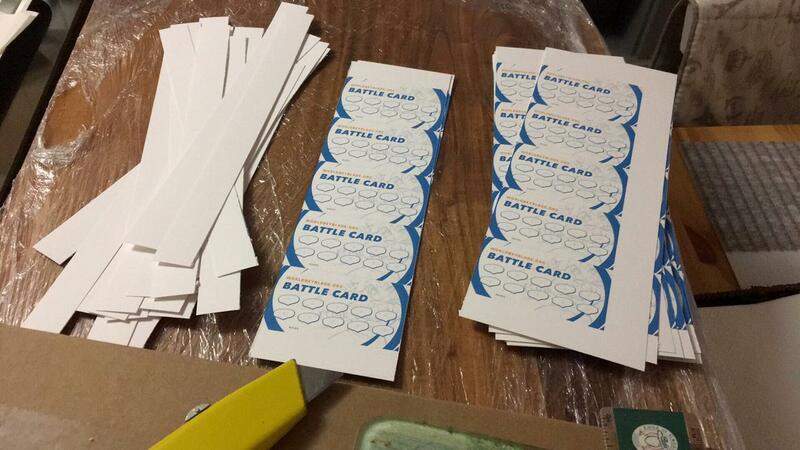 And MDK Shady help with writing names on Battle Cards and handing out the info sheets. MDK Shady’s role was an important one, but eventually we started just doing it ourselves as it was a bit complicated to try and communicate to people in a loud environment that they needed to proceed to their right to visit MDK Shady. Towards the end we brought in OldSchool on a third laptop and it seemed to speed things up. This leads me to believe that the more people running registration the better … With 150+ players and perhaps 45 seconds to 1 minute per player on average would take one person nearly two hours to register. Two people cuts that in half, and a third person cuts it down even further. Last year at Anime Shogatsu we were also in the Heritage Court, but this year they expanded the area we were given significantly once we reached 40 participants. However, the amount of space in the end was not nearly sufficient for what amounted to roughly 300 people when you consider both participants and parents. It was also not an enclosed space, so a pathway always needed to be open towards the back for people to walk by. As a result, there was serious concerns about causing a fire hazard. Anime Shogatsu’s staff was very helpful and even assigned a few staff to help us with the event for the whole day, but one thing which we became required to do was separate most of the free play into another area. It was close by, but given the immense crowd and noise, it meant that players participating in free play could not hear us well at all even when on the microphone. So, someone had to constantly be going back and forth to re-announce matches with our megaphone. Needless to say, this was far from ideal. Luckily however, much later on in the day the gym at the JCCC opened up and they moved us over there (seen above). This was an awesome space and would have been perfect if we had been there from the start. This issue was exacerbated by the issues with Challonge’s Station automatic assignment feature I described earlier, and several parents throughout the day were able to understand that. But they followed up by asking for a timeframe regarding their/their child’s next match. Completely understandable. With our current formats there just wasn’t a way for us to predict that (even if we did assign matches manually and prioritize everyone playing one match first). It’s a problem for large-scale events I think we need to address in some fashion. Obvious, right? But this might be the toughest point of them all because we are a volunteer organization. Regardless, the larger your event becomes, the more imperative it is that you have a large team of qualified and dedicated staff to help you. With over 100 players you need 10 people on staff at minimum. Tournament Organizer – Directs staff, makes pre-tournament announcements, answers questions, judges if needed, helps run the bracket, etc. Is basically a jack-of-all-trades. Registration – Handles Registration at the start of the event. At least 2 people, ideally 3-4 or moree depending on the size of the event. Challonge Master + Announcer – This works best as a tag team. These two people understand what is happening within the tournament bracket at all times and work to announce matches, record results, and progress the tournament. Judges – At least 6. All assigned to specific stadiums. Floor Managers – I talk more about this below. Probably would need to be at least 2 people. Thankfully, most large events seem to attract players from communities that might not normally join you, so I haven’t found it exceedingly difficult to find a decent amount of people to help just yet. I can see it being an issue to a certain degree depending on the circumstances (like at BEYBLADE SHOGATSU 2019, but thankfully some of the AS staff got assigned to our event), though. However, what makes it even more difficult in some cases is qualifying them and ensuring they are dedicated enough to the cause. 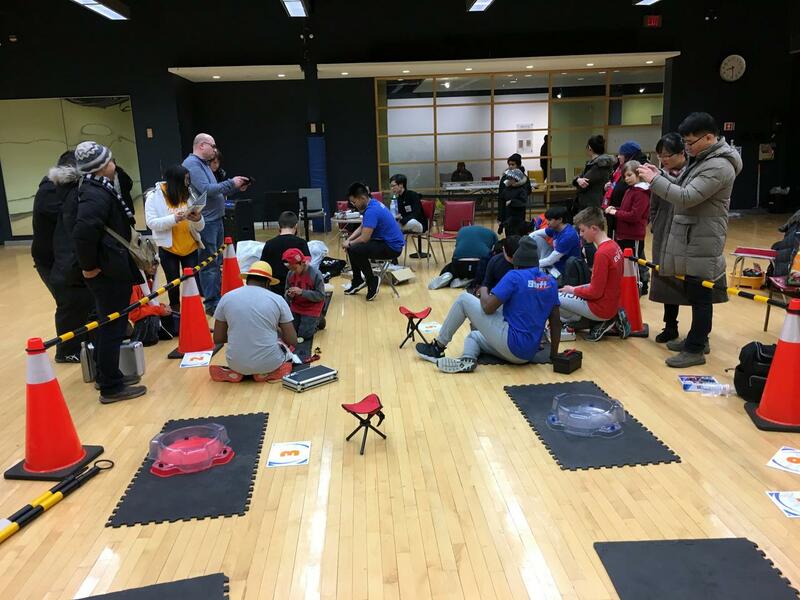 For BEYBLADE SHOGATSU 2019, I did my best to ensure everyone was on the same page before the event by having a call with them once I had a rough plan for the event. On the call I ran through the plan and also assigned initial roles for everyone. As it turned out, we actually needed more staff than I had projected. I spent so much time thinking about the staff we needed for inside the tournament area that I never thought about the potential benefit of a dedicated floor manager. When events get this large, crowd control becomes critical. Making sure the tournament area is enclosed by barriers is an important part of this, but even when you have those people are going to naturally crowd around just outside the barriers. Throughout this event we had to constantly have someone stationed at the entrance to the tournament area to make sure it stayed clear for new players to get in. There was no one assigned to this role because it wasn’t thought of and we didn’t really have enough people to dedicate someone to it … so we all just sort of had to take on the role whenever we had a minute to spare. A floor manager would also be beneficial for being able to answer basic questions from players and spectators. The more questions you can keep away from the people running the Challonge bracket, the better. Ideally, there would be one floor manager stationed at the entrance to the tournament area and then an additional one roaming the free play area to ensure everything is running smoothly and that people are hearing matches being called from the tournament desk. They would also be beneficial during registration to help manage the line and encourage people to do things like having their account open on their phone and ready to go. When running a large-scale event, it’s become clear to me that the tournament desk needs to be a sacred place. The more outside interference and distractions the people running the bracket encountter, the slower the tournament will run. It needs to be completely inaccessible for participants. Ideally, if there was any issues or questions, they would be fielded by the floor manager. Only if they are critical to the tournament continuing (such as a mistake being made for match result) would the floor manager bring it to the tournament desk themselves (or with the person asking the question if they needed to explain something). 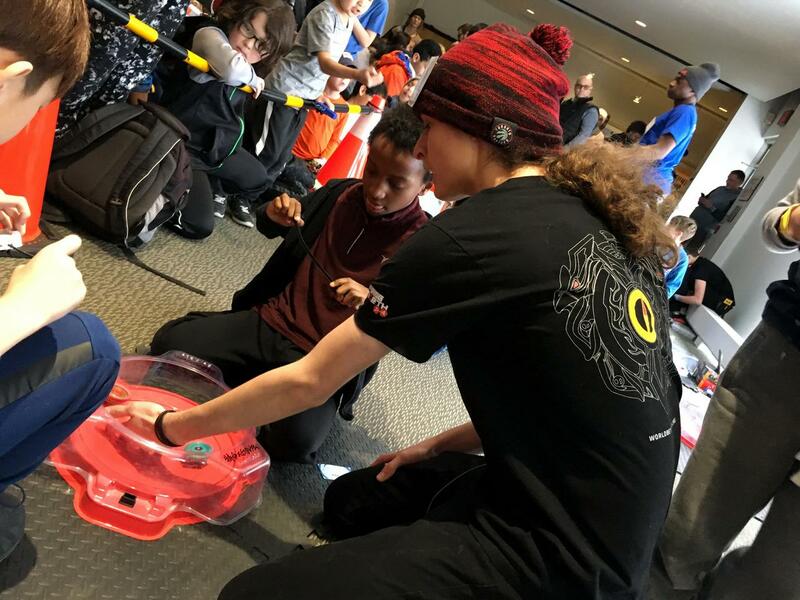 A big issue at BEYBLADE SHOGATSU 2019 was that the tournament desk was right at the entrance to the tournament area. Initially we had planned for the desk to be inaccessible (which you can see if you look at my original floor plan), but things got shifted at the event and instead of that happening and the tournament area entrance being at the opposite end … they were right beside each other. This resulted in an incessant stream of kids and parents basically hovering over our shoulders constantly asking questions. Some were valid, some were not … but either way they shouldn’t have been handled by those running the bracket as it slowed down progression and increased tension. In the future I am going to ensure that this detail becomes a top priority for large-scale events. 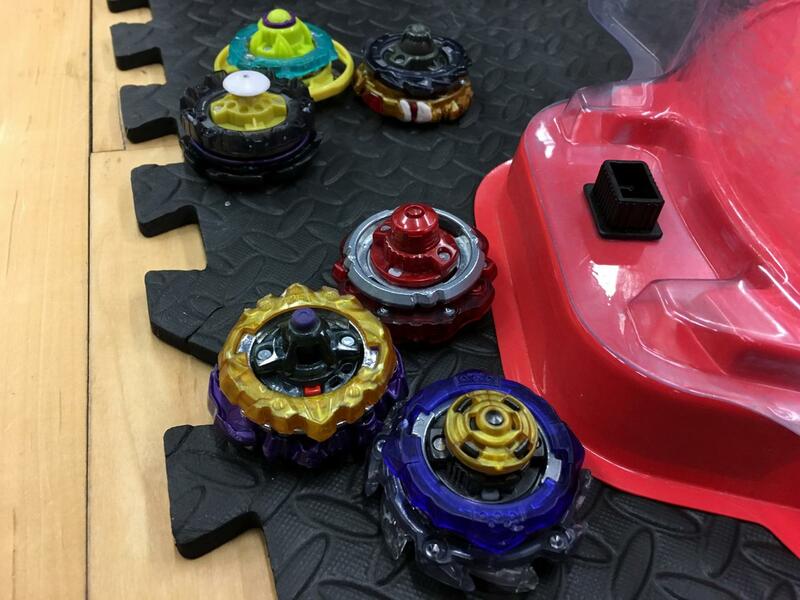 If I’ve learned anything over the years it’s that space comes at a premium and that people underestimate the amount of space needed to run a Beyblade tournament comfortably. 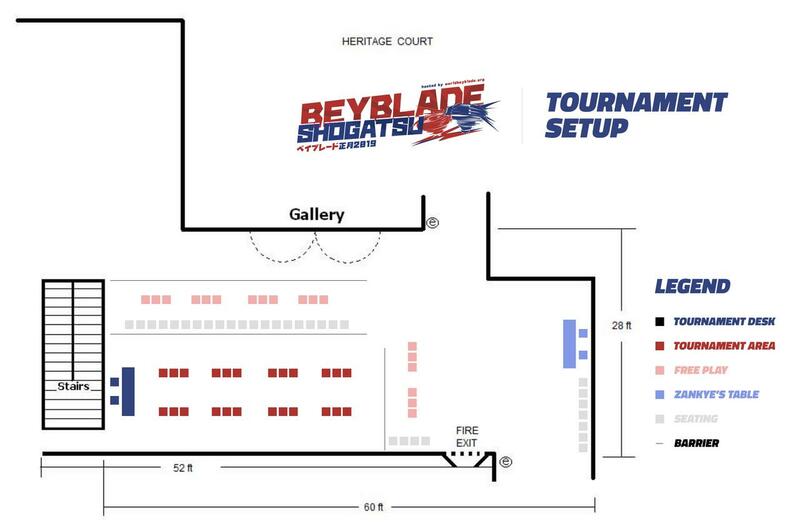 At BEYBLADE SHOGATSU we barely had enough room to run the eight stadiums within the tournament area and as mentioned earlier, there was such little space outside of that that it forced us to move much of free play elsewhere. One thing worth considering which increased the space needed is ensuring the tournament area is big enough not only for judges and players but one parent as well. It didn’t happen for every child participating, but rightfully so many parents wanted to come into the tournament area with their child to help them or record their battle. This is something we should be accounting for if at all possible when designing floor plans and picking venues. Many competitive games such actually run the finals of their large-scale events on a second day becausee the first stage literally takes all day. There needs to be a way for allow for more significant breaks throughout the day at a large-scale event. Not only for players, but for staff as well. 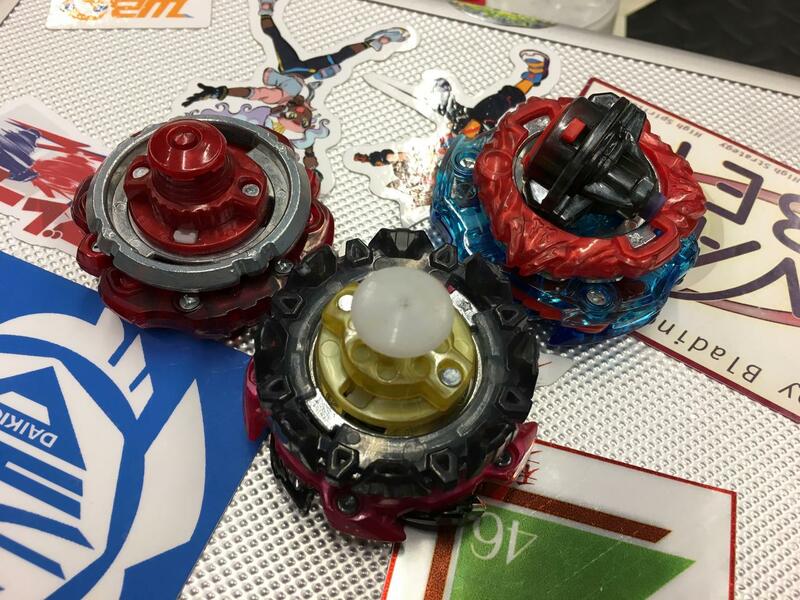 At BEYBLADE SHOGATSU 2019 there was really no chance for staff to take any breaks at all and we ran from basically 9AM (set up) to 7:30PM (first stage end) without any official break. A few staff took breaks here and there, but there was no official break until the end of the first stage. The convention itself ended at around 9PM, so we had to keep pushing forward if we wanted to finish the event. For players, although they may have had significant breaks at this event due to the way in which the Challonge Stations automatic assignment worked, none had any clear idea of when/if they could leave to take a break unless they wanted to risk missing a match. And it’s one of the reasons why considering a Day 2 for large-scale events might be so important. If we want our biggest events to be our best events, they need to be organized in such a way which isn’t quite as pressure filled as it has been to date at our largest events. But where a Day 2 might not be possible, perhaps what we really need to do to get to the root of many of these problems is introduce a completely new, shorter format for large-scale events. 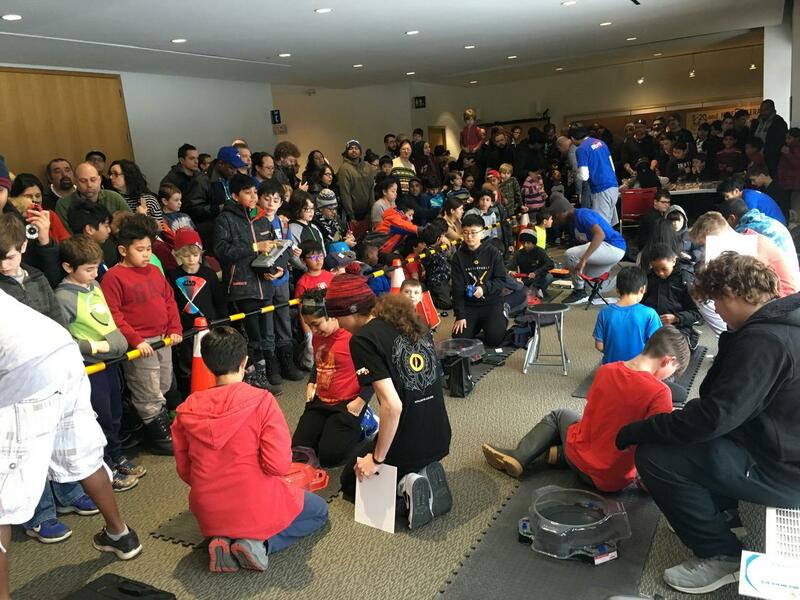 Kei Wrote: For years many regions that host Beyblade tournaments had trouble hitting the minimum required for ranked events (8), and we've had countless years to improve our skills and management for events on that scale up to 30, 40, 50 participants. But now we have a new challenge on our hands: how to manage Beyblade tournaments with upwards of 200 participants. 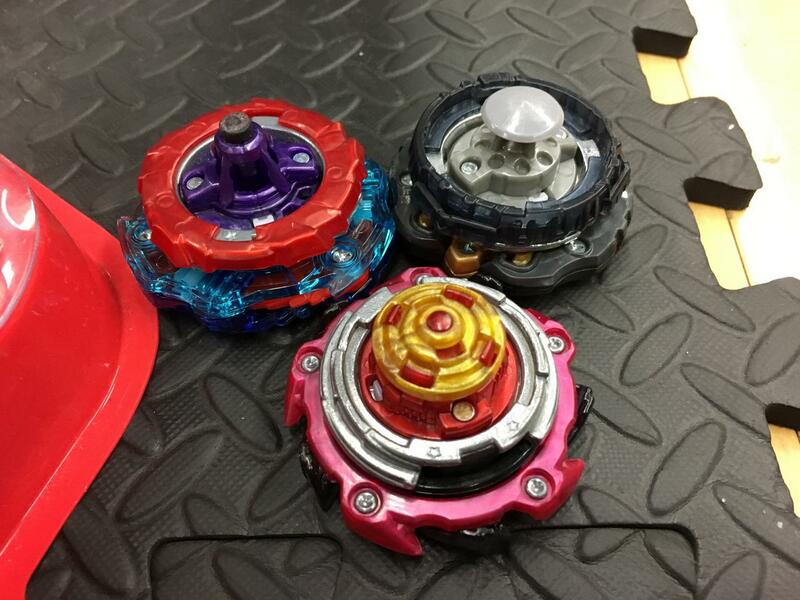 And I'm glad we have this challenge to face because it means Beyblade is popular! And ultimately what we all want as Beyblade fans is to have the best, most awesome tournaments which everyone can enjoy. That's why we're all here. 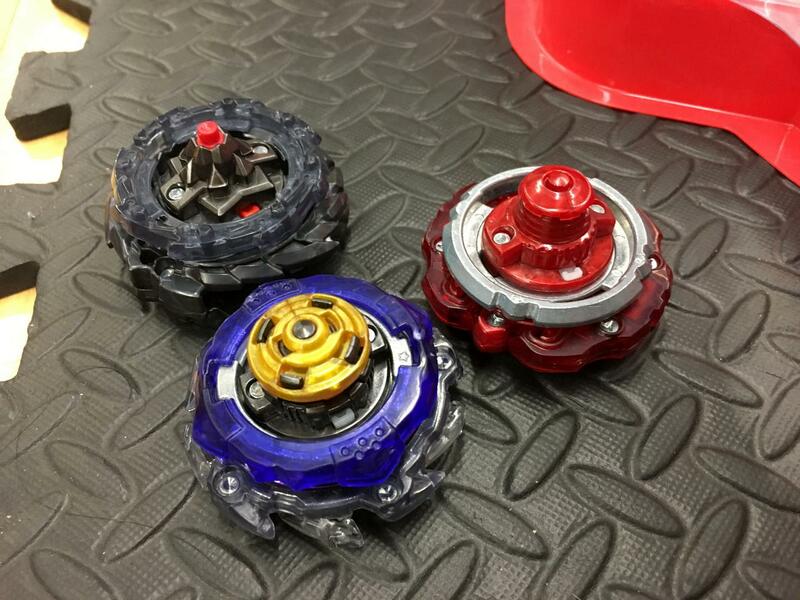 Beyblade is unique in some sense compared to other competitive games because it typically skews towards the younger end of the spectrum in terms of the players who participate. As a result, perhaps there is certain aspects we need to pay more attention to. This is something we will be evaluating moving forward. As Organizers we all know that the traditional formats (Double Elimination, Swiss, Group Round Robin, Round Robin) work for the size of events we typically run. What we haven’t really considered very deeply is how these formats work at scale and for our particular type of community (one that is comprised primarily of younger children). There’s no easy answer to how we can solve all of these, but in thinking recently about what could help to solve some of them, I thought back to the Kanto Strongest Blader Decision Battle tournament I participated in back in November 2017 in Tokyo. There was 128 participants at this event. They used single elimination which contributed to how quickly it went by, but the element which is most relevant to this discussion is how during the initial rounds they separated everyone into different smaller groups. Almost like Group Round Robin. Except we played mini-Single Elimination brackets within our groups (maybe 6-8 players each). While I’ve always been opposed to Single Elimination for the qualifying rounds of an event, there is merit to the idea of this approach. By grouping players up, it allows you to spend more time playing matches and less time calling out to a singular massive group who may or may not hear you properly. 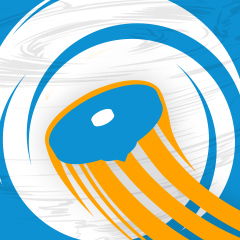 This reduces tournament length, wait time between matches, the time it takes to find players, increases your ability to communicate directly with individual players about their status in the event, and reduces the pressure associated with having one central tournament desk as the judges running each group can answer questions for their groups. The questions for me are: how many groups do you run? How big are the groups? I considered something similar for Beytuber Brawl (splitting the participants into two large brackets), but it would have required two separate rooms. I don’t have all the answers for how this specific idea could be best implemented, but I think it is worth considering and I’d love to hear feedback from other Organizers. Another option is to–although we might hate it–run single elimination for the first round or two and then switch over to Double Elimination or Swiss for large-scale events. The reality is that most strong players rarely lose in the first or second round to unseeded opponents, so the fear that the ‘best’ players would all be eliminated merely due to luck probably shouldn’t be that much of a concern. This issue has been on the table for some time now, and it is something we are going to be looking at implementing ASAP as a feature on the website and in our Organizer’s Guide. If you have access to the Organizer’s Circle, you can read some of my initial thoughts on it here. We’ve since discussed how it could potentially be implemented some more behind the scenes. Although we pride ourselves on being inclusive to everyone, it’s becoming apparent that there is limits to what we are capable of as a volunteer organization. We cannot expect all Organizers to have the experience, staff, space, and time required to be able to manage massive 100+ player events. 1. All nine of our judges: 1234beyblade, OldSchool™, Justin TC, Newtype, SUGOI-KONICHEWA, MDK Shady, Ardmore Bladers, bladekid, henwooja1 (and also his Dad who helped with crowd control and answering questions!). 2. JesseObre who helped run the tournament bracket and announce matches throughout the day. You were an invaluable help, as always. 3. All Anime Shogatsu staff who actively worked with us to help run the event, improve the experience where possible by moving us to a bigger space later on, prove the speaker and microphone, and work to keep everyone safe. Shout out specifically to James Bade and Lucas Le. There is some others but I don't know all of your names! 4. Thank you to originalzankye for his incredibly generous prize donation as well as MDK Shady for his donation of Buster Xcalibur and Archer Hercules! I'd also like to thank voice actor of Tsubasa and Kai–David Reale–for stopping by towards the end of the tournament. It was awesome to meet you! Can you spot a wild David Reale?! And it goes without saying, but I need to thank each and everyone of the players and parents who came to the tournament. 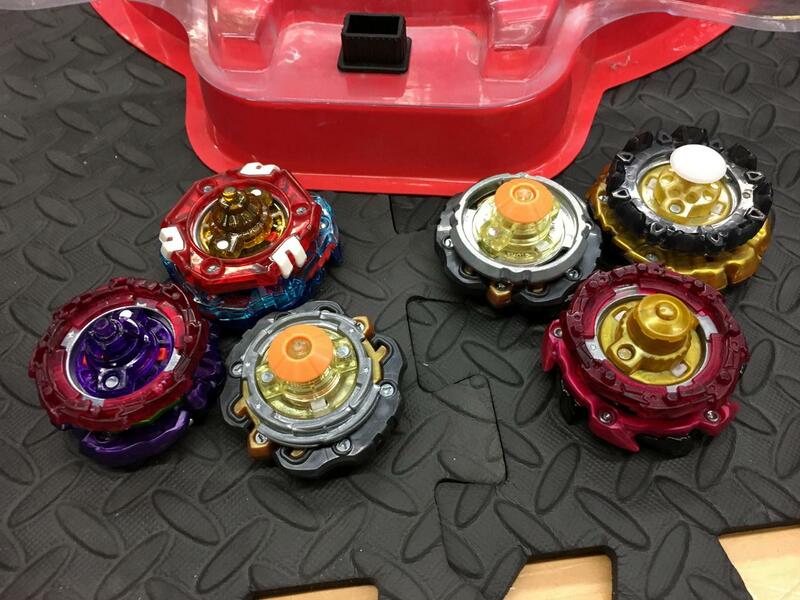 The passion for Beyblade, patience, and understanding many of you demonstrated was deeply appreciated. We couldn’t have done it without you! 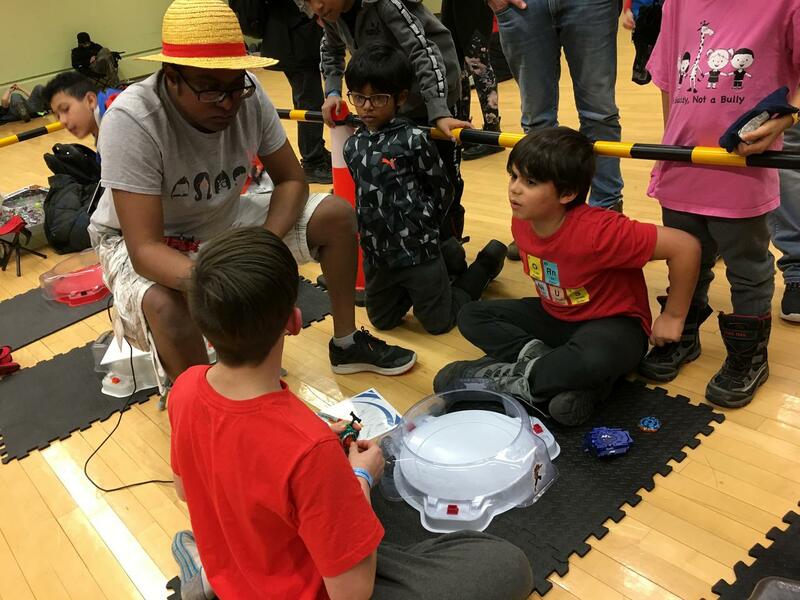 I’ve been playing Beyblade since 2003 and ever since attending my first tournament back then have always wanted to participate in more and eventually as I’ve gotten older, wanted to see kids enjoy them in the same way that I have growing up. We’re all here because we want to make new friendships, compete seriously, and have fun. With this as the goal, I consider every piece of feedback very carefully and will do my best moving forward to keep improving the way we do things and keep creating new opportunities for us all to meet. Will you be selling any extend plus' soon? (Jan. 26, 2019 9:30 AM)ks123 Wrote: If BeyChannel video coming? I didn't have time to shoot much footage, so unfortunately there will not be one. (Jan. 26, 2019 6:29 PM)henwooja1 Wrote: Will you be selling any extend plus' soon? Thanks for the report Kei, was looking forward to it after the number of joining members going up! So thank you! I can see that you were super busy, but was the interview with David Reale successful? Were you able to make it? Not sure where my mind is at with the participation cap. It has it's pros and cons. Since I am not part of rhe organiser' circle, I couldn't view the link. But I had an idea in mind I would like to share, is there any way WBO could introduce a 'waiting list' kind of feature regarding tournament participation cap? I am not very good at explaining things in detail, but I will try my best, apologise for small mistakes. I am gonna explain it with an example..
Now, we also know that not all people who hit the join button show up. That could be personal reasons. But it led to the loss of a person who was pretty sure he/she will make it, if the participation cap is introduced. For example, an organiser can handle 100 bladers. Let the cap be 70. After the number hits 70, the waiting list starts. If a member withdraws, the person on the waiting list gets a notification that he is in the tournament.This way it will be fair to all. Now, why I have taken 70 as the cap. Since WBO takes up on the spot registration too, I kept 10 members aside for that. So that makes it 80, the next 20 slots, if the organiser thinks he can handle more or if there are a lot of members who are confirmed and can participate bur came in late and couldn't join before the cap or taking the average that 10 bladers might show up, you can shift the cap to 100. The members on the waiting list get added. And extra members can also join in if there are slots. But this function would require the online joining to close at least 1 hour before for the organisers to get an estimate and arrange last minute changes if neccessary. This does not include 10 offline registrations.. The idea behind to keep the slot starting from a lesser number is because of managemnet purposes. Keeping the cap less is better than taking in more than you can chew. This will make it fair for all, and even create a bit of hope? I guess? Gives eveyone equal opportunity and to participate in the tournament. Again, just a thought, surely, there are flaws in it. I am still working on it. But would love to hear other people's opinion!